Leading manufacturers and suppliers have felt the need for a relaxed and sociable event to gain essential feedback on machine performance over the season just passed and seek valuable input prior to product launches in the New Year. The Autumn Coin-Op Show will be an ideal time to tell them what is good and bad, what works well and what you would like to see for the coming year. 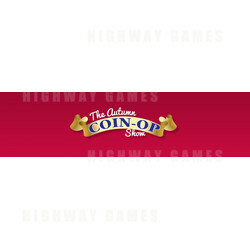 With substantial industry input, perfect timing and an iconic London venue with its own on-site hotel, The Autumn Coin-Op Show is set to add real value and to become an important fixture in the amusement and coin-op industry calendar.